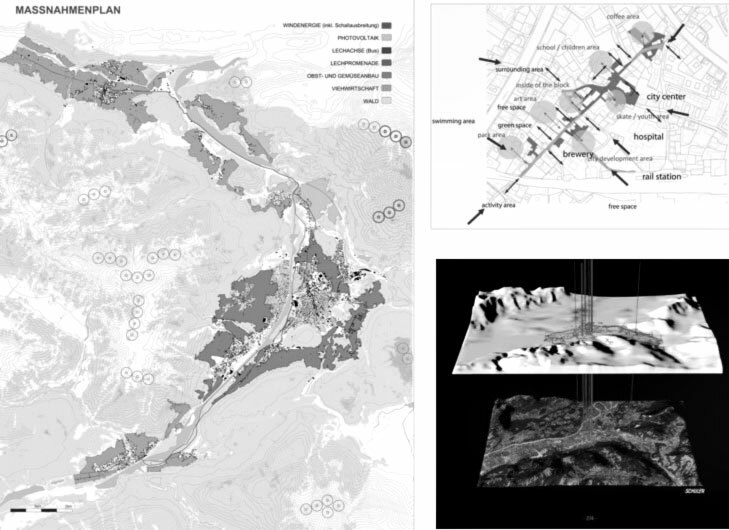 V:III_5.2 [INN] WS5 [C1] Workshop Programme & Results "Alpine Architecture"
V:III_5.3 [INN] WS4 [C2] Workshop Programme & Results "Reconstruction of an Alpine Village"
Innsbruck | A constructive alternative to the endless growth of cities is found in the regionalisation concept of the Alps. Against the 'gradually rural exodus', in particular the re-activation of selected regions and their specific local potentials are developed within an impressing landscape, in academic cooperation with local stakeholders and with respect to sustainable strategies for built environments, experienced since decades in Austria. Holistic concepts for infrastructure, mobility and buildings in and with nature and in a constructive cooperation with municipalities, as well as the use of regenerative energies are conceptualized, which support 'long-term value creation' in the region. Tracking the developing of the global as well as the European countries and regions, you can watch the problems of the growing cities. Humans want to use the urban infrastructure and the urban ambience. At the same time they want to live in nature. This is demonstrated by the urban sprawls. Villages and regions are going to be abandoned and they change to destinations for seniors. It is predictable, that this trend will end in chaos. We are therefore invited to work out and realize future innovative scenarios for an affordable social and ecologic living environment- for urban but as well as for rural areas. In 2011 and 2012 we organised two consecutive workshops in Innsbruck (www.staedtebau.at, Architektur Studium Generale). It was a request to mix the international students of the ASG with students of our faculty of Architecture. They worked together within the workshops. The topics were related to my research and teaching. We also invited other studios of our faculty and external architects to work with us. The 21st century will be an urban century. Because of the gradually rural exodus, cities become more and more crowded and the regions always more empty. A constructive and innovative approach against the endless growing city is the regionalisation, the revival of selected regions, depending on the potentials of the location. Here, infrastructures, mobility, building in nature, the use of renewable energy and local added value are the important facts. 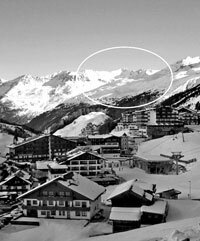 So the challenge of the first workshop in 2011 was to build a new innovative, self-sufficient and sustainable "Smart City" in the Alps, in Obergurgl at the end of the Ötztal valley in about 2.500 meters altitude. Invited guest lecturers were Wolfgang Andexlinger from the Institute of Urban and Regional Design, Innsbruck (ioud.org), Volker Giencke with his Studio 3, Innsbruck (studio3.me), Tobias Klein and Dietmar König from Horhizon London (horhizon.com/main). The first week the international group of students had to think about how the new city might work. They had to build groups and choose one of the topics that we had worked out for them. The topics were Water & Waste Management, Ecology & Society, Mobility, Architecture and Material, Energy, Nature, Economy and Communication Tools. They had to do specific analyses and to devise statements concerning the above mentioned. We also did an excursion across the Alps, so that the students could gather impressions of the alpine region and we also arranged lectures for them. The next four weeks, the students had to define their concept for the smart city, to find out how to programme a city and to design it. 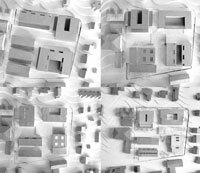 The results were very different, future orientated, expressive projects and of high quality (http://alpenuni.blogspot.co.at/). 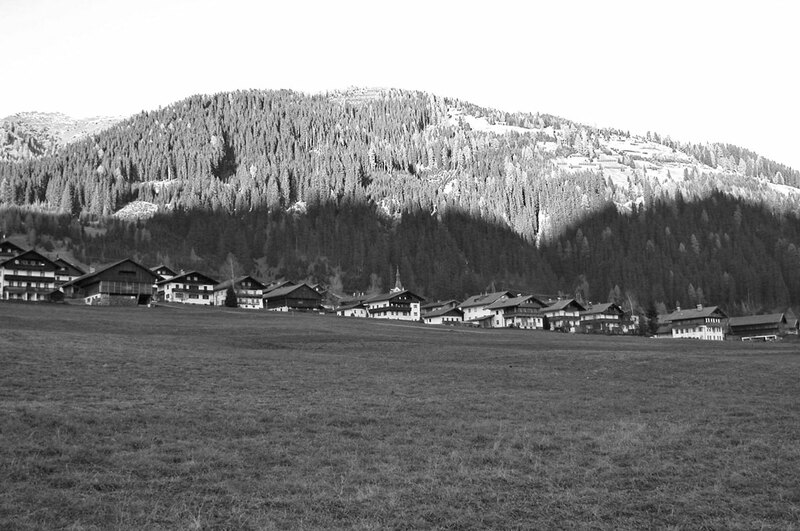 "Reconstruction of an Alpine Village"
The second workshop 2012 dealt with the problem of shrinking regions in Tyrol. I invited Ulla Hell from Plasma Studio, London/Beijing/Bolzano (plasmastudio.com/) and Reinhardt Honold (reinhardthonold.com/) from Innsbruck to work with us. The topic was the "Reconstruction of an Alpine Village". We decided for the destination Obertilliach in East Tyrol. Geographically, East Tyrol can be understood as an island, not only because it is cut off from North Tyrol. This inner alpine region lies off the big transit routes through the Alps and also off the big inrush of tourists. The single villages can be seen as an economically underdeveloped region in which a shrinking of the population through an emigration of the younger generation can be observed. The questions have been: What can urban thinking architects propose in rural regions that are threatened by emigration, to enable an equilibrated economical, cultural and social life at the standard and scale of our time – by maintaining the natural and scenic qualities? At the beginning we organized a workshop in Obertilliach. The three days were filled with inputs and excursions to some important places in East Tyrol. 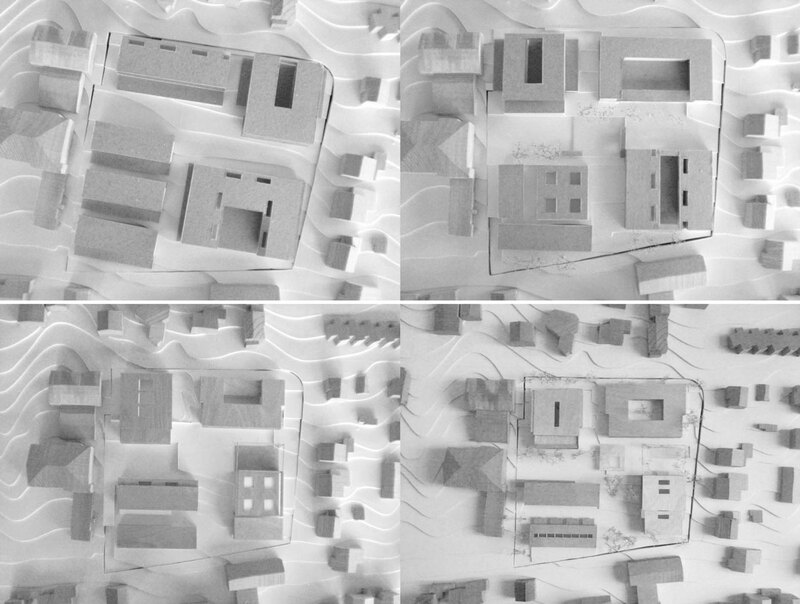 The challenge of this project was to analyse Obertilliach in its social, economical and ecological aspects, to find out the optimal strategy for how the village can evolve in future and to design an architectural intervention. The projects the students did were very different. They vary from the creation of a self-sufficient village or a village of transmission of knowledge, from the design of a modular system out of natural resources for living and working, or interventions for examples of hybrid space or a hotspot for social activities. They represent multifaceted, inspiring collections of ideas for Obertilliach. I am very honoured, that we are part of the "Reiseuni_lab". It is a possibility for me as well as for our faculty to work together with European lecturers and researchers of other universities on an interdisciplinary level. It is also very important for our students to be connected with international students. In this way we can exchange our teaching and research methods as well the problems of the different regions and cities. I hope the "Reiseuni" continues to have a successful future. Europe is within fundamental modification. The social conditions are changing. People are growing older, the existence of the conventional family disappears more and more into the background and social competences and responsibilities fade away because of the prosperity. The globalisation implicates a mixture of nationalities and religions and so an attenuation of ethical and traditional values is going on. Ecological factors come to the foreground, so that we can conserve our environment. Future prognoses tell us, that many humans are not able to maintain their living standard. Against the background of the imminent climate change, the growing energy costs and the commitment to achieve the Kyoto Protocol, many questions concerning energy conservation are a central issue for our society. Though the problems are obvious and sufficiently known today, there are only little methodical appendages for holistically solutions in the urban development. Many regions are absolutely exposed to these changing local and global general conditions. Far too many trends in economy, society and ecology are not recognized on time. Most of the developments get into conflicts due to political, economic or private interests, so that there is no possibility for holistically and sustainable approaches. I do not have the feeling that politics are really developing concepts. We have the European Union, since 2002 we have the Euro as a common valuta and more and more countries are part of the EU and In fact we could expect, that the government considers how to produce transnational energy and how to reduce transport. Reality shows, that economy is deciding what happens and politics are supporting this. Instead of implanting the principles of sustainability, for example by supporting alternative transport systems, they are held and pushed back from the market, because the oil industry is in the driver's seat. Road transport infrastructure was enlarged instead of being reduced and given back the people for using it to meet and communicate. Not even they are thinking about a transnational expedient transport system. Instead of developing alternative energy systems and energy programmes they are dismounting more electricity generated by nuclear power; take a look at France and other states. The tragedy in Fukushima was burked from the beginning - the atomic industry like the oil industry is in the driver's seat - and you do not hear much about this topic in the media today. Everybody knows about the problem of the ageing of the population. More and more homes for the aged were built - ghettos, which probably cannot be financed by the users - instead of developing concepts, how generations can live together and help themselves. Financial markets are not really obvious. Irrational sums of money were transferred, digital transactions are irreproducible for the average consumer. In my opinion all of this is not even controllable; the amounts do not really exist. All of these incidents have effects on spatial planning, on city planning and landscape architecture. Political and economic issues define, where we build and who builds. Concepts for the future flat line on periods of offices, on ownership structures, on financial conditions and at last on the fear of change. We are requested to design innovative scenarios for a sustainable and affordable social and ecological living space. A constructive and innovative approach against the endless growing city is the regionalisation, depending on the potentials of the location. Here, infrastructures, mobility, building in nature, the use of renewable energy and local added value are the important facts. Another approach is the interdisciplinary collaboration of university departments, like engineers, sociologists and geographers as well as with politic and economic systems. A third approach is the implementation of regional governance in the spatial development and the sensitization of the stakeholder. Regionalisation as term is not used very often. "Region" is also not to be defined by quantitative definitions. "Regions" could be seen as territorially or politically informed areas or as culturally or religiously informed areas and therefore we have many different regions in the world, which all have their characters. Those characters have to be maintained and have to be brought to an updated ecological, technical and technological standard in order to give society the chance to find identification and a potential of creating its living environment. The term regionalisation has to be seen from its positive side. It offers the opportunity to develop a qualitative living space through holistic concepts. Development needs time – no problem: regionalisation like globalisation is a process related action. The structural implementation of new societal and ecological concepts makes high demands to the urban planners and architects. A planning process, which is horizontally organized and which integrates many-sided aspects from the get-go, has the chance that all relevant criteria concerning construction, energy-efficiency, society, costs and so on can be integrated into the development. The effort will be higher than in conventional projects, but it gives a good return. Because it is very difficult to practise this in an office, we try to do these challenges in the framework of the university. 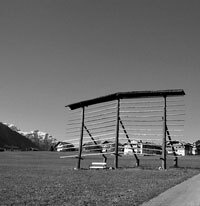 One of the research topics at the Institute of Urban and Regional Design in Innsbruck is the spatial development, particularly in the alpine region. One focus is to aid the regional development and to avert the rural exodus. Because this development is highly addicted to politics and economy, we substitute the interdisciplinary collaboration in every way. We create urban and architectural concepts and we handle this within third party funded projects on the one hand within student competitions, on the other hand as assignment studies for the institute (www.urbanlab.info). "INTENSYS" was our first interdisciplinary research project. Of course it was predictable, that such a challenge incipiently implicates troubles. You have to discuss humans and with regards to contents, to integrate the individual needs in teamwork and to argue factual. INTENSYS (INTegrated designed high efficient ENergy- and societal SYStems for future sustainable housing) is an interdisciplinary research project together with a non-profit public housing association, with the provincial government and different faculties and institutes of our university with the goal to implement it. We designed the concept in four development studies. The fourth design will be built now from architect Hermann Kaufmann in cooperation with my office architektur.ps (Architects Michael Pfleger und Maria Schneider) in two sections. In principal I have to say, that this project implicates many experiences for us. Our expectations concerning the interdisciplinary collaboration did not always come true, but with some of the project partners a very constructive process did arise, with others less. But it is a worthwhile process, which can modify the future considerably. 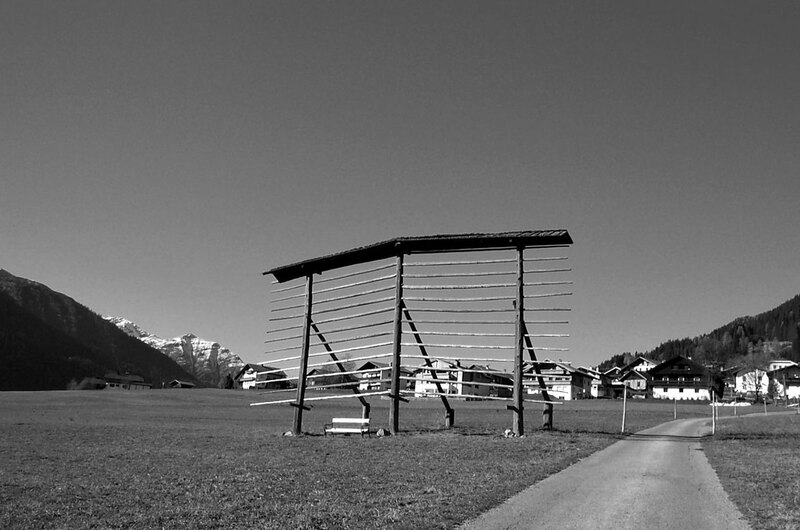 And so we started the second interdisciplinary research project "Wörgl FIT4SET", which lasts until the end of May 2012. Wörgl launched the initiative "Wörgl our Energy" to reach energy self-sufficiency until the year 2025. Wörgl is a very dynamic city. The population is increasing and this takes effects on the spatial and edificial structure of the town. Wörgl also is a very important centre of communication (North/South Europe as well East to West) and an intersection of infrastructure (shopping city in the Tyrolean Lowlands). The results of the research study are suggestions for a future development of Wörgl. We worked out a useful catalogue of measures, which can be implemented in the next decades. a master- and strategic plan for the City Wörgl and based thereupon for the demonstration project "Südtirolersiedlung". We also create urban and architectural concepts and we handle this within third party funded projects on the one hand within student competitions, on the other hand as assignment studies for the institute. Sometimes local authorities ask us to provide such projects. The student competitions are collections of ideas for the authorities to discuss the development of their village or region and the provincial government funds them. They have to pay for the studies; they have to organize a jury and an exhibition at the end. The experience we have concerning all our projects - the complexity of communication of politics, economy, resident and so on, induces us to set up a Master's degree programme "Regional Governance and Sustainable Spatial Development" (REGONARA) together with the faculty of geography and sociology. Objective is to train students of different fields of studies to become competent interdisciplinary teams for planning and designing an innovative sustainable spatial development. Their task should be the development of new strategies and new urban and rural structures and to implement them. This programme will provide us with new topics for interdisciplinary-based research. We are working on it. with International Master's Programme A.S.G. 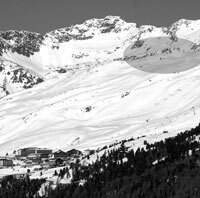 / Reiseuni_lab, Module "Urban Design"
Obergurgl represents a living organism, an urban self-sufficient system. Designed to trigger a change of view regarding social matters as well as handling our resources; creating awareness for the production of drinking water, food and energy on regional, national and international grounds. Even if this sounded like a futuristic scenario it is a fact that in the long run urban life as we know it, will not be able to remain in its current state. Radical rethinking will be required to solve the problem of food and energy supply of our global metropolises. Another emerging issue is mobility – caused by rural migration and overpopulation. Big cities have become fragile systems due to their continuous dependence on food and energy supply. It is rather ironic that this system represents the backbone of nowadays societies. The logical response to this would be a self-sufficient city in a mountain region to display those visions, which could be implemented even in hostile regions. Normal cities could adapt to this concept quite easily – like an "alpine city" – this proves to be an alternative to the "mission to Mars". Do you believe that you are better off than your grandparents? Do you believe that your grandchildren will be better of than you? The 21st century will be the urban century. In about 10 years, three of five people worldwide will live in cities. This results in cities becoming more and more crowded and the regions more empty. A constructive and innovative approach against the endless growing city is the regionalization, the revival of selected regions, depending on the potentials of the location. Here, infrastructures, mobility, building in nature, the use of renewable energy and local added value are the important facts. So the challenge of the workshop in Innsbruck is to build a new innovative, self-sufficient and sustainable "Smart City" in the Alps, at the end of the Ötztal in about 2.500 meter. The first week you have to think about how the new city will work. You have to build groups and choose one of the topics we worked out for you. You have to do specific analyses and devise related statements. Together we take an excursion through the mountains and we further arranged some lectures for you. 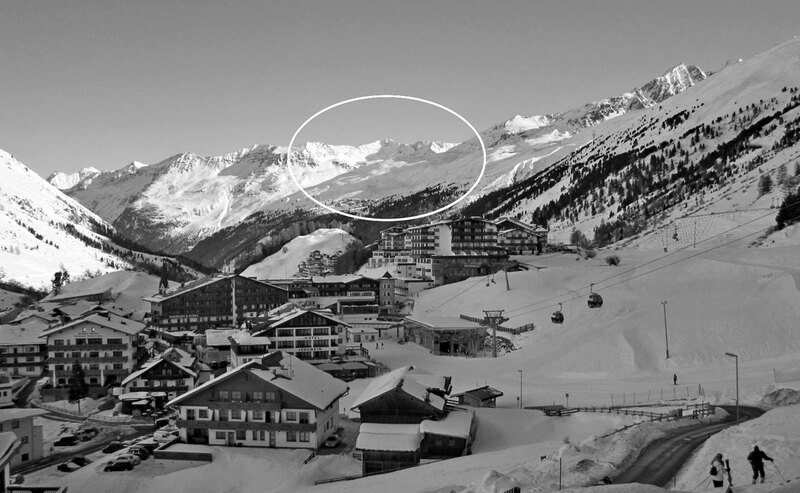 In the second week we will have a workshop in Obergurgl (4 Days). First you have to present the outputs of your work from the previous week. Then we will have discussions and you have to define your part of work for building a new city (in groups or lonely). 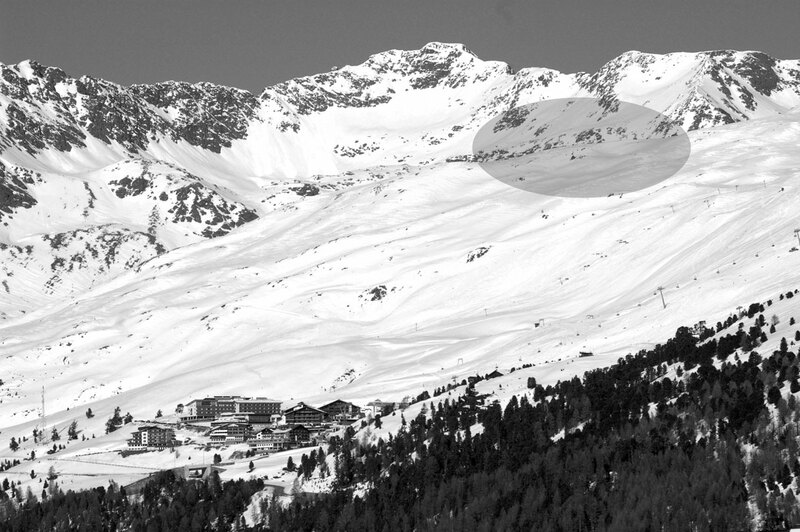 In Obergurgl it is also possible to analyse the landscape and to visit the location for the new city. The following weeks you have to work. Some of the tutors are always reachable for corrections. In the fourth week you have an official review, where you present your concept. In the sixth week you have the final presentation. While the world's population tripled in the 20th century, the use of renewable water resources has grown six-fold. Within the next fifty years, the world population will increase by another 40 to 50%. This population growth - coupled with industrialization and urbanization - will result in an increasing demand for water and will have serious consequences on the environment. There is already more waste water generated and dispersed today, than at any other time in the history of our planet: more than one out of six people lack access to safe drinking water, namely 1.1 billion people, and more than two out of six lack adequate sanitation, namely 2.6 billion people (Estimation for 2002, by the WHO/UNICEF JMP, 2004). High levels of water use cause social, environmental and economic problems. 3900 children die every day from water borne diseases (WHO 2004). One must know that these figures represent only people with very poor conditions. In reality, these figures will be much higher. On the environmental side, high consumption places stress on rivers, lakes and groundwater aquifers and may require dams and flooding with serious ecological impacts. Furthermore, the discharge of polluted water once it has been used damages aquatic ecosystems. On the economic side, high levels of water use require ever-increasing and expensive investments in water system infrastructure needed to gather, deliver and dispose of water (dams, reservoirs, water treatment facilities, distribution networks and sewage treatment). There can be no "ecological thinking" that does not place human social destiny at the heart of our posture towards our environmental context. We may learn well over the next years that cities, even megacities, actually represent dramatically efficient ecological solutions, but this fact alone does not make them sustainable, especially if the forces of social invention remain trapped in tyrannies that only ecological thinking in an ecumenical scale can free us from. For ecological thinking too, has its counterfeit and debased forms and many "sustainability" discourses remain more oppressive than liberating, more stifling than inventive and it would be a great peril if we were to continue to assume that these two areas of approach and especially their methods and presuppositions are necessarily complementary. We especially must not make the mistake of believing, that one can detach the "human" and the "natural" from the aesthetic and still meet the challenge of ecological thinking and ecological praxis. Similarly, it must not be assumed that by "human" we are referring to the same set of qualities and potentials that are traditionally associated with these terms. A typical automobile weights twenty times as much as its driver. A comfortable chair occupies only about 1m² while a parked car generally uses up 20m² of valuable urban real estate. Furthermore, it is parked about 80% of the time – not only taking up space that could be put to better use, but also costing money, consuming materials and embodying energy. Although urban speed limits are usually set at 50 km/h it is engineered for a top speed of more than 130 km/h and a range of around 500-700 km. And of course it is powered by gasoline – a rapidly diminishing, non-renewable resource that arrives through increasingly problematic supply chains and emits greenhouse gases from the tailpipe. We need to argue that we have to make radical changes. We have to take this moment of economic and energy-crises as an opportunity to reinvent urban personal mobility from the ground up. We can and we should create systems that provide very high levels of mobility service while minimizing energy consumption and supporting a large-scale shift to clean, renewable and more local energy sources. Ecological urbanism means different things to different people, but in its essence it represents the challenge of establishing a new order in architecture, in which there is harmony between people, the buildings, the inhabitants, the cities they construct and the natural environment in which they live. By contrast, construction approaches used currently are designed to create buildings that function largely in isolation and utilize resources in highly inefficient ways, which can ravage the local environment. We must therefore confront this challenge head-on if we are to sustain the natural resources and quality of life required for fruitful survival of our species. Yet, it is unlikely that new applications of existing building materials and construction approaches will satisfy this goal. We investigate strategies and policies to address climate change. We develop scenarios of how to accomplish the necessary reduction in greenhouse gas emissions for achieving long-term climate protection. We focus on the transition pathways of the energy system (coal, gas, oil, nuclear, wind, solar, biomass, geothermal; including carbon capture and storage) and the land use system (agricultural production for food and biofuels) from a carbon based to a low-carbon economy. We examine these pathways in the context of globalization and economic growth. We also analyse policy instruments (emission caps and emission permit trading, taxes and subsidies, feed-in-tariffs etc.) of implementing the necessary mitigation measures at the national and international level. We embed our research into a wider sustainability context including the relationship of mitigation and adaptation, land use, resource use and general socio-economic development. Irresistible forces are drawing vast populations into the cities. There, in the busy centres of the great towns, life is lived at high pressure — at such pressure that men are continually compelled to seek rest and refreshment, either in suburban home life or in frequent flights to the country, the mountains or the sea. It is to meet this desire, that millions of dollars are spent upon public country parks and other millions upon country residences and seaside residences, summer hotels and summer cottage neighbourhoods, while near the cities, the same desire causes the region of detached and gardened houses to continually expand. This modern crowding into cities results in a counter invasion of the country, and it is right here where the special modern need of an art and profession of landscape gardening is first felt. How can we add roads and many or large buildings to natural landscape, without destroying the very thing in search of which we left the city? How shall we establish ourselves as conveniently as may be and at the same time preserve all the charms of the scene we have chosen to dwell in? How may we rightly work to bring more and more beauty into that scene? The building of convenient and beautiful structures is thus a part of the art of architecture. The arranging of these structures in streets, in neighbourhoods, on sea-coasts, in the valleys of the hills, the careful adjustment of the structure to its site and its landscape, the devising of ways and roads so that they may be either impressive through order and formality, or charming through their subordination to natural conditions, the development of appropriate beauty in the surroundings of buildings, whether by adding terraces and avenues or by enhancing natural beauty — all this is, or ought to be, at least one half of the art and profession of architecture. An economy consists of the economic system of a country or other area, the labour, capital and land resources and the economic agents that socially participate in the production, exchange, distribution and consumption of goods and services of that area. A given economy is the final result of a process that involves its technological evolution, history and social organization, as well as its geography, natural resource endowment and ecology as main factors. These factors give context, content and set the conditions and parameters in which an economy functions. All professions, occupations, economic agents or economic activities contribute to the economy. Consumption, saving and investment are core variable components in the economy and determine market equilibrium. An economic system is composed of people and institutions, including their relationships to productive resources, such as through the convention of property. Examples of contemporary economic systems include capitalist systems, socialist systems and mixed economies. "Economic systems" is the economics category that includes the study of respective systems. An economic ideology distinguishes itself from economic theory in being normative rather than just explanatory in its approach. It expresses a perspective on the way an economy should be run and to what end, whereas the aim of economic theories is to create accurate explanatory models. There are many different types of communication that we use every day. We use a variety of communication tools for work and with our family and friends. As much as there are different ways of communicating, there are also different kinds of communication tools. When we consider style and purpose of communication we can divide it into two groups, formal communication and informal communication. Formal communication includes all forms of formal exchanges of information (business communication, corporate communication…). The informal communication is the opposite. It is a form of casual conversation and exchange of communication. Other types of communication are the vertical and horizontal communication. The definition of vertical communication is the flow of information both downward and upward through the organizational chain of command. Horizontal communication is the information exchange between departments or functional units as means of coordinating their activities. All these types of communication are used throughout the world to exchange and understand information. "The city historically constructed is no longer lived and is no longer understood practically. It is only an object of cultural consumption for tourists, for aestheticism, avid for spectacles and the picturesque. Even for those who seek to understand it with warmth, it is gone. Yet, the urban remains in a state of dispersed and alienated actuality, as kernel and virtuality. What the eyes and analysis perceive on the ground can at best pass for the shadow of the future object in the light of a rinsing sun. It is impossible to envisage the reconstitution of the old city, only the construction of a new one on new foundations, on another scale and in other conditions, in other society. The prescription is: there cannot be a going back (towards the traditional city), nor a headlong flight, towards a colossal and shapeless agglomeration. In other words, for what concerns the city the object of science is not given. The past, the present, the possible cannot be separated. What is being studied is a virtual object, which though studies, which calls for new approaches." Urban performance currently does not only depend on the city's endowment of hard infrastructure ('physical capital'), but further and increasingly so, on the availability and quality of knowledge communication and social infrastructure ('intellectual and social capital'). The latter form of capital is decisive for urban competitiveness. It is against this background that the concept of the "smart city" has been introduced as a strategic device to encompass modern urban production factors in a common framework and to highlight the growing importance of 'Information and Communication Technologies' (ICTs), social and environmental capital in profiling the competitiveness of cities. The significance of these two assets - social and environmental capital - itself goes a long way to distinguish smart cities from their more technology-laden counterparts, drawing a clear line between them and what goes under the name of either digital or intelligent cities. Smart cities can be identified (and ranked) along six main axes or dimensions. These axes are: a smart economy; smart mobility; a smart environment; smart people; smart living; and finally, smart governance. These six axes connect with traditional regional and neoclassical theories of urban growth and development. In particular, the axes are based, respectively, on theories of regional competitiveness, transport and ICT economics, natural resources, human and social capital, quality of life and participation of citizens in the governance of cities. at Institute of Urban and Regional Planning with International Master's Programme A.S.G. 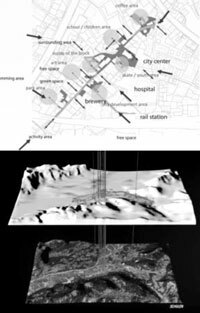 / Reiseuni_lab, Module "Urban Design"
Maria Schneider | o.Univ.-Prof. DI Arch. Dr., dean of studies, architect and town planner (responsible) • Institute of Urban design and Regional Planning, Innsbruck: Ulla Hell, www.plasmastudio.com architect + guest lecturer, Reinhard Honold, architect, singer & songwriter in cooperation with colleagues of the faculty, local stakeholder and invited guest lecturers of different disciplines. 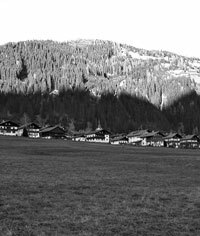 On the example of Obertilliach: What can urban thinking architects propose in rural regions which are threatened by emigration, to enable an equilibrated economical, cultural and social life at the standard and scale of our time – by maintaining the natural and scenic qualities? Which steps can contribute to motivating the young ones to not wanting to move away as a matter of principle, but rather to bring their energy and knowledge into the region in order to participate from there to the global social discussion? How can architecture contribute to a positive communication between the members of different generations? Since approximately three decades, Europe finds itself in a fundamental process of change. The social conditions are shifting, people are getting older and the classical image of "the family" is pushed to the background. In parallel, social competences and responsibilities are getting less important through the growth of wealth. Globalization conditions a mixture of religions and nationalities and therefore a loss of ethnic and traditional values. Ecologic factors have to be pushed forward in order to protect the environment. Future prospects predict that many people will not be able to afford their actual standard of living. Climate change, exploding costs of energy and the obligation to achieve the Kyoto Protocol, which was decided the 11th of December 1997, are questions of the energy conservation and central topics of our society. Energy production or energy efficiency as simple topic is not enough. We have to react immediately, the PEAK – Oil is getting closer very fast, climate change happens; the consequences of the current economic crises at the moment are quite unpredictable. Globally as well as regionally, we observe a strong tendency towards a rural depopulation while in parallel an urban depopulation is happening: On one hand people benefit from the urban infrastructures and atmospheres, but on the other hand they are seeking their house with garden in the middle of nature. The consequences are a sprawl in the peripheries of the cities (Speckguertel), traffic intense agglomerations and so-called "Zwischenstaedte" ("In-between-cities", Thomas Sieverts), which lead to an immense use of land and to a high traffic volume on the one hand and to a formation of ghettos on the other. Many regions are confronted with changing local and global basic conditions. Far too often developments in economy, society and ecology are not recognized in time. Through political, economic and private interests such developments become a huge potential of conflicts and are often corrected only punctually. Holistic and sustainable solutions are not worked out and realized. Only if a region is flexible enough to adapt to the constant changing social, political and ecological parameters, a positive development can take place. Even though those problems are evident and known sufficiently in spatial development, systematic and holistic solutions can be barely found. Settlements, cities, regions and countries have to face those developments and assume sustainable responsibilities. We are therefore invited to work out and realize future innovative scenarios for an affordable social and ecologic living environment – for urban but as well as for rural areas. A constructive and innovative approach against the endless growing cities is the regionalization, the reactivation and revival of selected regions, depending on the potential of the location. Holistic concepts for infrastructure, mobility, building in and with nature and the use of regenerative energies are needed as well as a value creation in the region itself. A second approach is an interdisciplinary collaboration and cooperation of different professionals (architects, urban and landscape planners, engineers, sociologists, geographers, etc.) with politics, economy and universities. Last but not least a planning and implementation in terms of "Regional Governance" in the spatial development is needed as well as an awareness rising for the stakeholders. Hotel – Gasthof Andreas – Accommodation with breakfast and dinner – free Trips in East Tyrol (Villgraten, etc.) – Transportation is free Train and Bus "Innsbruck – Obertilliach" – you have to pay (You have to be early enough at the station in Innsbruck or you buy the tickets the day before. I think it is possible to buy the tickets from Innsbruck to Obertilliach and back at the railway station in Innsbruck, meeting Point is in Obertilliach) Excursion with the bus to Ötztal – transportation is free. Geographically spoken, the region of East Tyrol may be seen as a kind of island. The inner alpine region of East Tyrol is far removed from the great alpine transit routes and all great flows of tourists pass it by. Even if the situation is less dramatic than in some regions of the French and Italian Alps, some villages and towns could rightly be seen as lacking in infrastructure. The population is shrinking due to emigration. Despite certain structural weaknesses, East Tyrol is a functioning agricultural region dominated by sustainable tourism and a decent level of economic strength in the fields of small and medium-sized businesses in the area of Lienz. East Tyrol certainly does not have any tourist hubs like Kitzbühel, Sölden, or Ischgl in North Tyrol, nor such a highly-developed agriculture as South Tyrol with its expansive apple and wine cultivations. Even if East Tyrol is a culturally highly developed region, some developments come to these regions somewhat late or can be observed to a lesser degree, which is doubtless due to its geographical situation. That is why the region has its own (agri) cultural landscapes, its somewhat an idiosyncratic village and town structure and its very own ways of life steeped in tradition. Regionalization as term is not used very often. "Region" is also note to be defined by quantitative definitions. "Regions" could be seen as territorially or politically informed areas or as culturally or religiously informed areas and therefore we have many different regions in the world, which all have their characters. Those characters have to be maintained and have to be brought to an updated ecological, technical and technological standard in order to give society the chance to find identification and a potential of creating its living environment. The term "regionalization" has to be seen from its positive side. It offers the opportunity to develop a qualitative living space through holistic concepts. Development needs time – no problem: regionalization is like globalization a process related action.